I ran 18 miles on Sunday and I got a 22 minute PR. End of blog update that’s all I need say. No, I’m going to give you details because holy crap a 22 minute PR needs to be talked about! Going into this weekend I was really worried about logging these 18 miles. 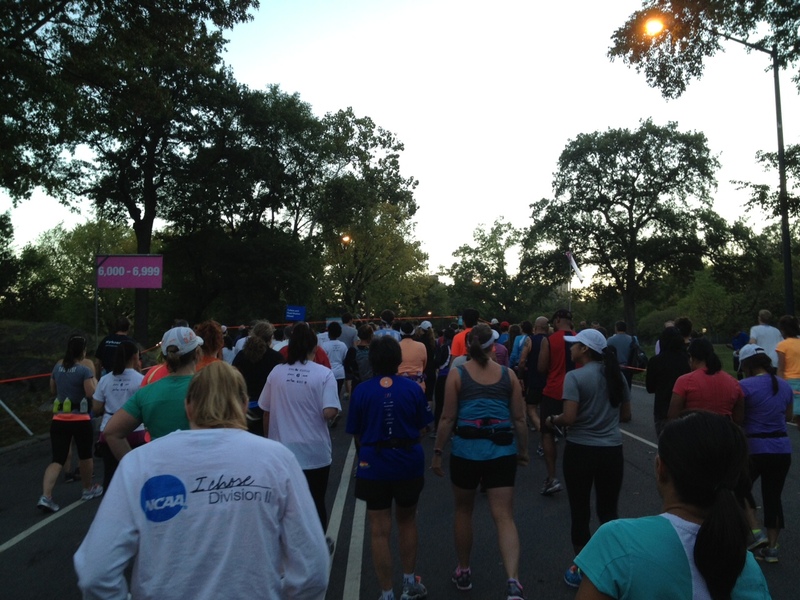 Three loops of Central Park can monotonous and hard thanks to all those hills. The first year I did this event my knee hurt so bad that I had to stop. Last year was really hot and I remember chafing on my thigh where my shorts were rubbing and having a weird ankle thing for two miles. But I finished that better than any of my other 18 mile long runs. I just had no idea how this was going to turn out. So far I’ve had some real challenging long runs and some kind of effortless ones. I think in my mind I prepared myself not to have a great time but just to keep close to last year’s. Fair enough I say. But Mother Nature and the running gods decided to help us out by providing some nice cool fall weather and I think this played a role and I am not complaining. It was nice not having to start a run when the sun was at it’s brightest and not desperately needing some water right after you start running. My quads felt a little tight at the start and having to run the part of the course with Harlem Hills right off was not exactly fun but a good way to get a good sweat on. Overall the quads loosened up and only complained once or twice in the later miles which is totally expected. I kept telling myself to make sure that my run segments felt easy and that I could keep that conversation pace throughout. I never felt as though I was going to die if I did not stop running right this minute and my splits confirmed that I kept a very consistent pace for each mile. There were one or two slower miles due to extra stops for getting my Gu down with water. I always seem to sallow my water the wrong way if I don’t stop to walk through a water station. As for the massive PR, while I was vaguely aware that I could PR I wasn’t focusing on that too much instead just looking at my Garmin for my current pace. At one point during mile 9 I did think that a decent PR was possible but I quickly put that aside knowing that the wheels could easily fall off on the third loop. I was more aware of making sure I took my gels at the proper time and coordinated those pretty well with the water stations. But, as one friend put it, I’ve been putting in the training so these are expected. And another fiend that this totally unsurprising because he saw me on one of the Harlem Hills and thought i looked in good shape. So maybe I’ll just listen to you guys from now on. It certainly was nice to get this PR at a substantial distance if only to give myself a mental boost for my upcoming 20 mile long run. It was also nice, not be in the last group when finishing this event. I didn’t have to deal with grumpy baggage people and there were still plenty of post-race refreshments, although there wasn’t any Gatorade at the end. Having the bag check meant a chance to get out of my running shoes and sweaty shirt, drink my own bottle of Gatorade, and wipe the layer of salt of my body. Margaritas anyone? 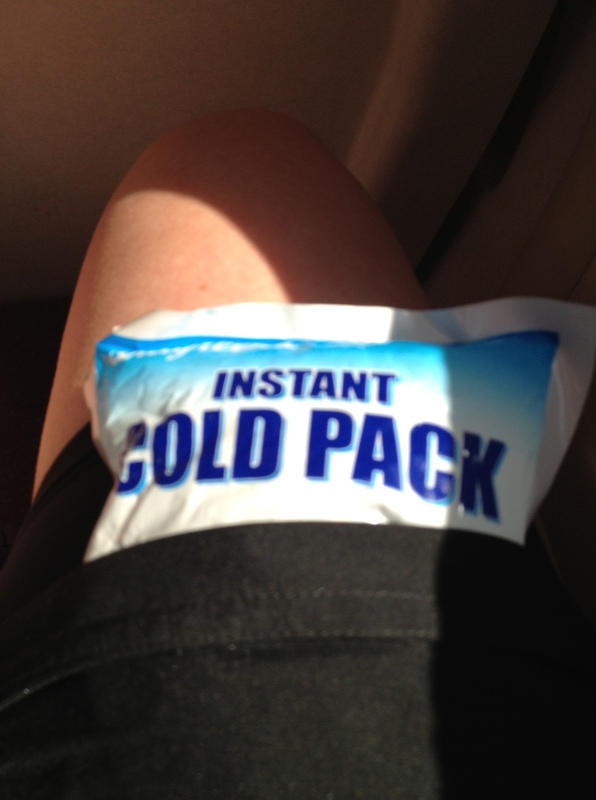 One of the smartest things I did for my post long-run recovery was bring my own disposable ice packs. Since I live in Westchester I don’t have the option of getting into an ice bath quickly after my run. By the time I get home it could be around two hours since I have stopped running. The instant ice packs that you can pick up at any drug store are a good alternative. I’ve been known to stick these in my calf compression sleeves and in between my regular shorts and compression shorts. Trust me, your legs will thank you. This week is a step-down week (thank you, Jesus!) and the week after is the Staten Island Half Marathon then I’ve got my 20 mile long run. I’m planning my route now since I won’t be doing my running clubs Blue Line run of the last 20 miles of the marathon course. Any suggestions from New Yorker’s on some good routes besides Central Park and Hudson Greenway that have decent access to water fountains/beverages? This entry was posted in NYC Marathon, Race Recap, running and tagged Garmin, gatorade, gu, NYC Marathon, NYRR, Running, training. Bookmark the permalink. Amazing! 22 minute PR is DEFINITELY something that needs to be talked about! You must be feeling really pumped for the marathon?